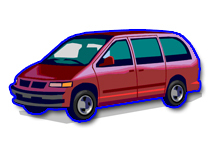 Soundproofing for Cars, Vehicals, Vans, Buses, Taxis . . .
Soundproofing for Cars, Vans, Buses, Trains, Plaines and Ships is nothing new; and especially to our Acoustic Scientists here at NoiseStop. One of the main differences between ourselves and that of our competitors selling soundproofing for cars is our routes and business model. Our main core business in regards to soundproofing that is used for vehicle treatment is not actually cars is more like shipping tankers, passenger ferries, Planes, offshore rigs and a like. 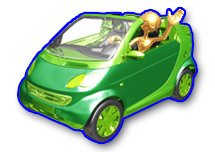 It was only after we received a lot of requests to assist car owners in their struggles with soundproofing that we started to sell our products in smaller quantities and aimed more at smaller vehicle designs; which was way back in 2006. 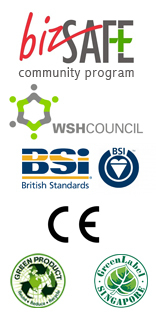 Because of these factors you will find our products and materials are more technologically superior to that of any of our competitors and unlike other companies on the market we are not actually looking to profit from small orders, so we don't need to balance performance and profit into our products. The material is black in colour and finishes with silver foil. The composition of the material contains 5% Bitumen, 80% Binder, 5% Liquid Acrylic, 15% synthetic rubber, polymers, oil, and inorganic fillers i.e. (Black blu-tack). The covering layer is made using Tin & Zink composite thin metal sheet. 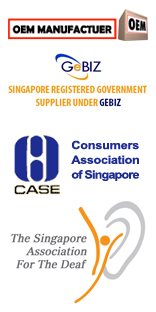 NoiseBlock Bitumen Dampening Sheet has been around since 2005 in Singapore and far longer in the UK the material itself is the original authentic vibration dampening sheet that is superior in every way to that of the imitation above. The material is black in colour and finishes with an Aluminium Sheet Face. The composition of the material contains 80% Bitumen & 20% Binder. The covering layer is made using only aluminium sheet. NoiseBlock BDS when using one single sheet onto a window mounted LG Air Conditioning Unit to cover the around the entire metal casing is able to neutralize all vibration from the unit. 'Anti Rattling Material' however required 3 layers of material to achieve the same affect. This is due to the diluting of the bitumen as seen across the market in car soundproofing. Bitumen is a very expensive material and it is not cost effective as a business model to use in such high quantities when your sale of the products is limited to small vehicles. 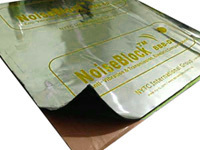 NoiseBlock BBB-DS 2 car soundproofing sheet is a 2mm specialized membrane used to dampen vibration noise and also absorb low bass frequencies that are found in car noise issues from the road and traffic aswell as your car structure. 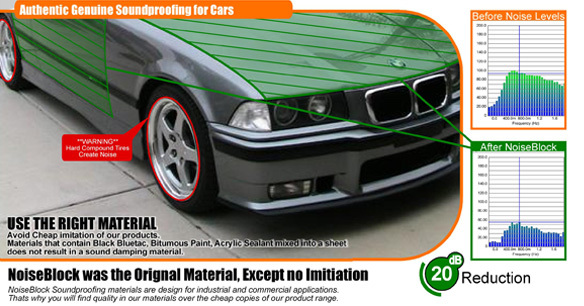 The 2mm version is for customers that are not looking for the lightest materials for their cars. 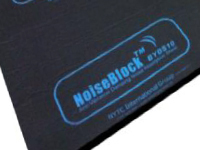 NoiseBlock BBB-DS 4 is a 4mm specialize membrane used to dampen vibration noise and also absorb low bass frequencies that are found in car noise issues from the road and traffic. The 4mm material offers much better noise dampening results that the 2mm as it contains 3 different types of compound layers. NoiseBlock BBB-DS 6 is a 6mm specialize membrane used to dampen vibration noise and also absorb low bass frequencies that are found in car noise issues from the road and traffic. The material original use is from ship hull and engine compartment treatment. It has also been used extensively over 30,000 square meters on the media corp project to eliminate noise from metal ducting. To install the NoiseBlock BBB-DS to your car you will need to use a hammer, rubber mallet, roller and knife. You will need to make sure when you are installing you really press the material into the metal. Use the hammer and rubber mallet as a tool to install the sheets. NoiseBlock BY-DS 10 is a visco elastic membrane bonded to a high density open cell foam for the best possible finish in your car, van or other vehicle. 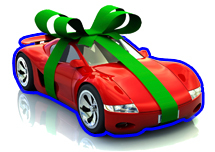 The material should be installed as the final layer in your car soundproofing installation. This is because once installed it is not possible to install any further insulation materials to the finishing acoustic foam layer. 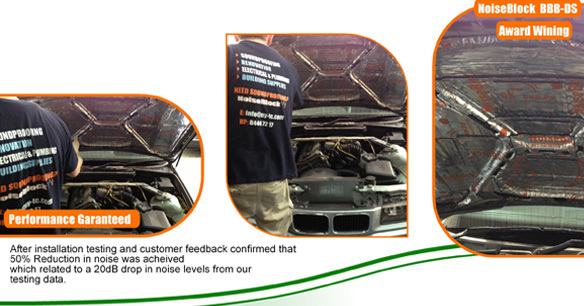 NoiseBlock Soundproofing Car System is ideal for people in the big city that are sick of hearing the sound of either outside traffic or their own car. No Need to buy a new car when it starts to get old. 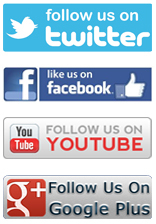 We install the soundproofing at a location of your choice to make life even easier for you.